New number one favorite book! Tarzan was nothing like I'd ever expected and naturally I was expecting a near version of Disney's Tarzan. Instead it was filled with unexpected twists and turns. You have to be prepared to get your hands on the second book, The Return of Tarzan, when you read the last words of the cliffhanger. Tarzan first appeared in 1912 in the pages of The All-Story magazine and immediately captured the imaginations of American readers young and old. His later triumphs in Hollywood, in comic strips, and on radio and television made him an international pop culture icon. 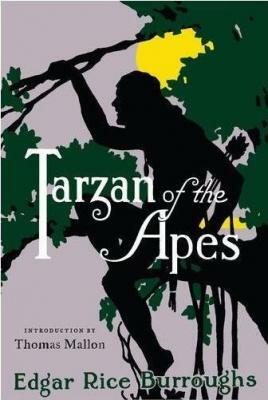 On the occasion of his centenary, The Library of America invites readers to rediscover Tarzan of the Apes, the pulp classic by Edgar Rice Burroughs that gave the world the once and forever Lord of the Jungle. Thomas Mallon is the author of eight novels, including Watergate and Fellow Travelers, as well as seven books of non­fiction. He directs the creative writing program at The George Washington University, in Washington, D.C.